The month of March marks Women’s History Month and provides us with an opportunity to honor women in the labor movement. 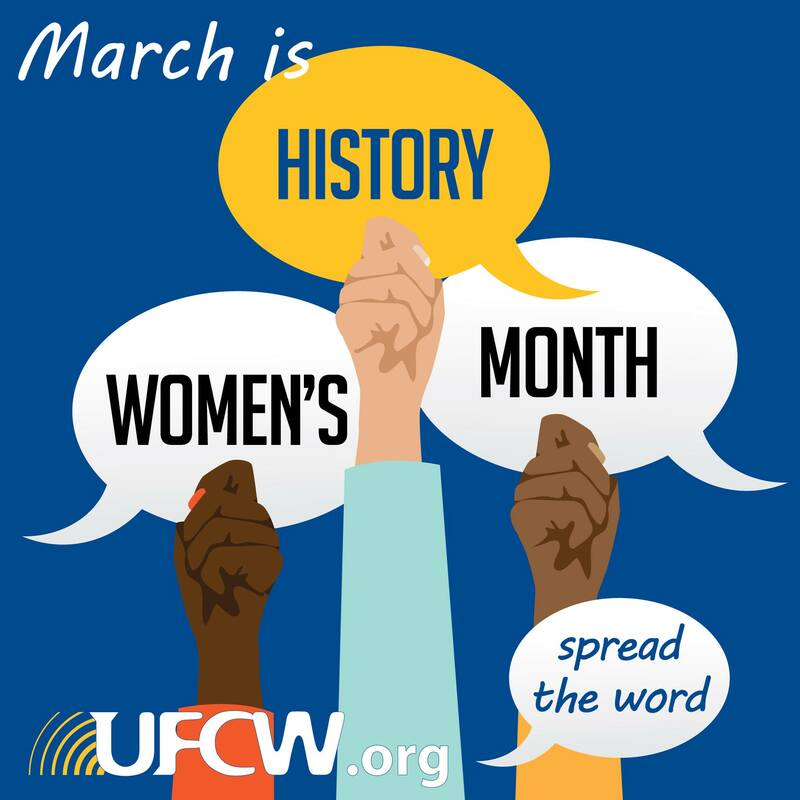 Women’s History Month also provides us with an opportunity to examine how labor unions have benefited women and the social and economic issues that affect women in the workplace, including the need for affordable, high-quality child care and paid maternity and sick leave. 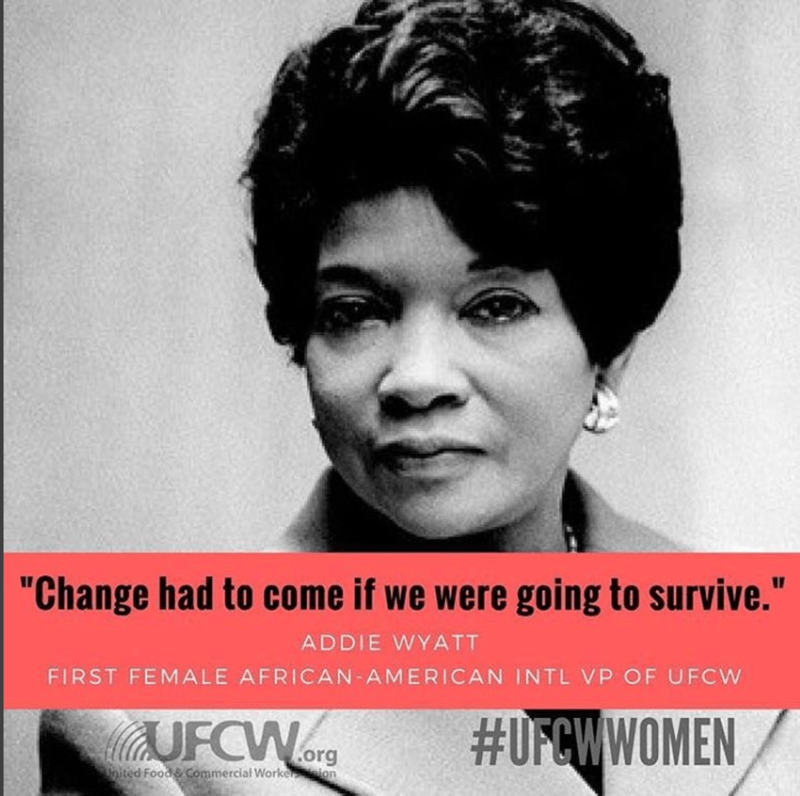 Throughout this month, the UFCW will pay tribute to women who defied convention and fought for workers’ rights and highlight women who continue to fight for the right to stick together for decent wages and benefits and respect in the workplace.